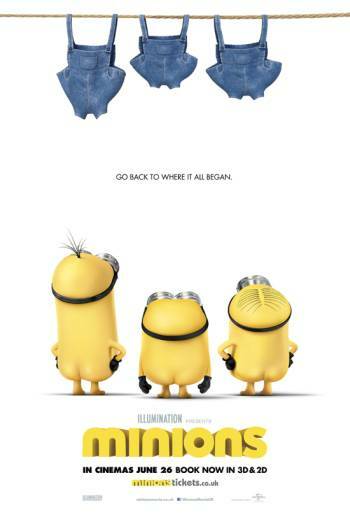 Summary MINIONS is an animated comedy spin off from DESPICABLE ME in which minions set out to find a despicable master to follow. MINIONS is an animated comedy spin off from DESPICABLE ME in which minions set out to find a despicable master to follow. There are scene of mild comic violence showing light-hearted slapstick incidents and fight sequences in which no one is ever realistically hurt. There is very mild bad language such as 'blimey' and 'screwed'. There is a comic scene in which a man threatens to torture the minions in his medieval style torture chamber. The minions are stretched on a rack and hung on a noose but neither of these things harm the minions at all.